Ekaterina Vagurina, a designer based in Moscow, Russia, has created the Fitocapsule, a modern wall-mounted flower pot that is delicate in design, and easy to use. 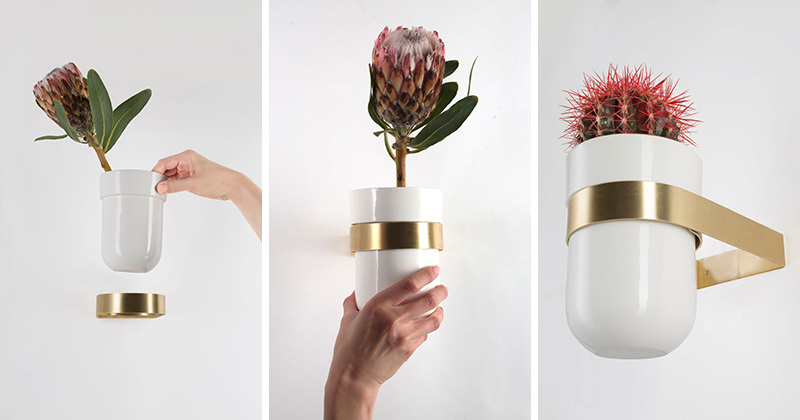 The ceramic white vases can be attached to a wall using a special brass wall mount. 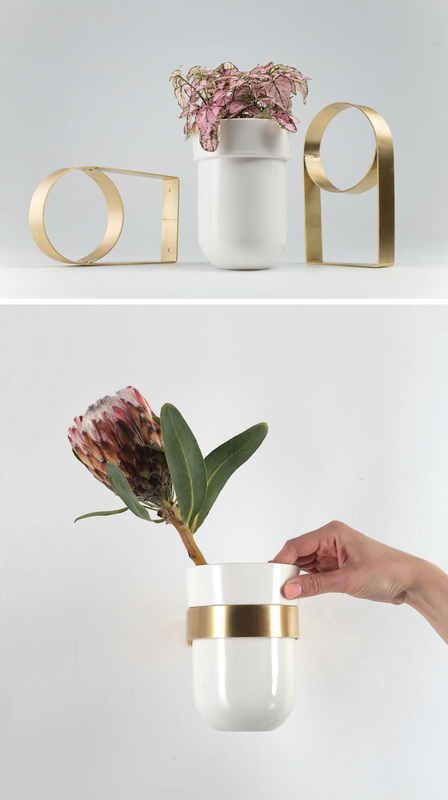 The vases rest comfortably in the brass vessel, and can be easily removed to water or change the flowers. Easy to attach, these wall mounted vases instantly add a pop of floral decoration to any interior. 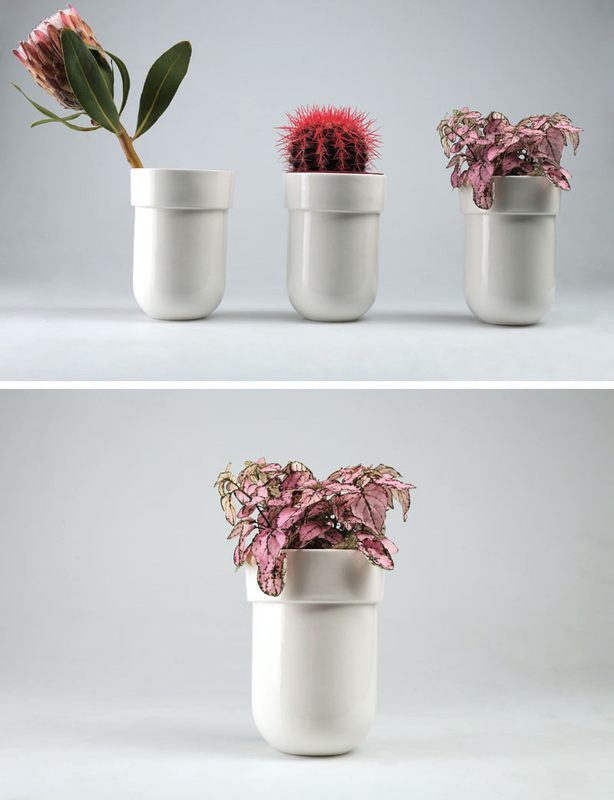 With the ability to remove the pot from the wall, the vase can also be used as a small stand alone planter on a table.